We are issuing special eQSLs for your reports! If you're in Europe, the USA, North Asia/Middle East hear us on 11580kHz at 2030-2100UTC and 2330-0000UTC every Saturday evening. 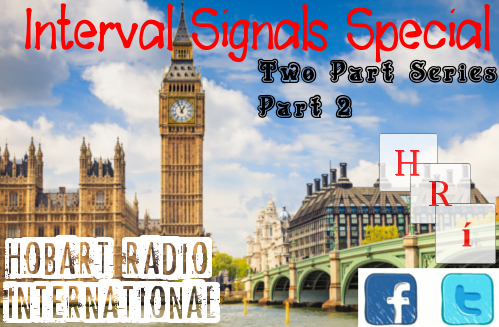 Part 2 we continue opening the vaults and exploring present and past interval signals. 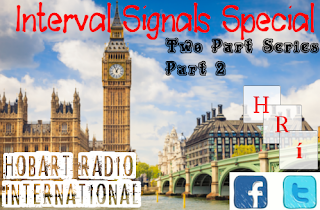 An interval or tuning signal is a distinctive tune or sound that tells us who's on air. This is a two part series.